Eligibility : Candidates must have diploma or degree in respective subjects. Age Limit :Candidates must be aged between 18-26 years as on 01.11.2014. Application Fees: Candidates belonging to General and OBC are required to pay Rs. 150 as an Application Fees in the form of Demand Draft. SC/ ST/ PWD/ EXSM candidates nee not to pay any application fee. 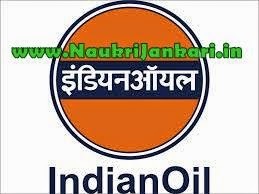 0 comments for " IOCL Gujarat Recruitment 2014 for Engineering Assistant "